From her earliest memories of playing Hockey during “open ice” with her dad, sister, and brother at the Plymouth Ice Center in Plymouth, Minnesota, Dani Cameranesi is no stranger to awards and accolades as an Ice Hockey forward. 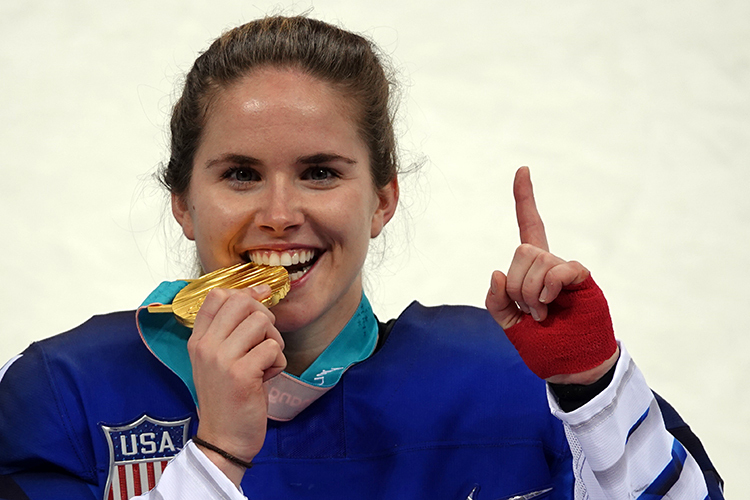 She represented the US team in 2018 in PyeongChang, but even before this big debut, she was making marks on the ice. Cameranesi played Hockey for the University of Minnesota and helped the Division I school claim two National Championships (2015, 2016). She was twice named a Patty Kazmaier Memorial Award top-10 finalist. Once she graduated, she continued to push herself and won the gold medal with her team at the 2015 World Championships. Her long-term intentions revolve around making the US team to compete in Tokyo in 2020. She will do this by fueling her body throughout the off seasons with Shaklee products and by training hard both on and off the ice.